Do you know that you can delete your Facebook messenger messages on your iOS device with the scope of gaining back your iPhone storage space in just few steps? Yes, it is very possible to regain your iOS storage space which have been occupied by Facebook messenger messages, documents, and media files. Hence, if your iPhone is running out of storage space, one quick way of regaining your storage space is to delete all or some messages from your iPhone using the following methods we are about to discuss with you. Part 3. Can I Unsend a Message on Facebook Once It Has Been Sent? 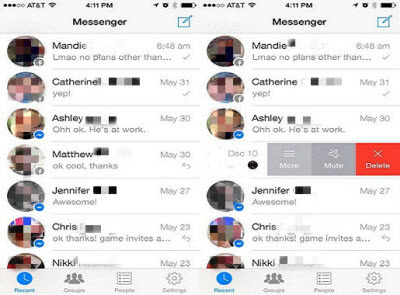 1: Launch your Facebook messenger app from your iPhone. 2: Opening the conversation that contains the message you want to delete. 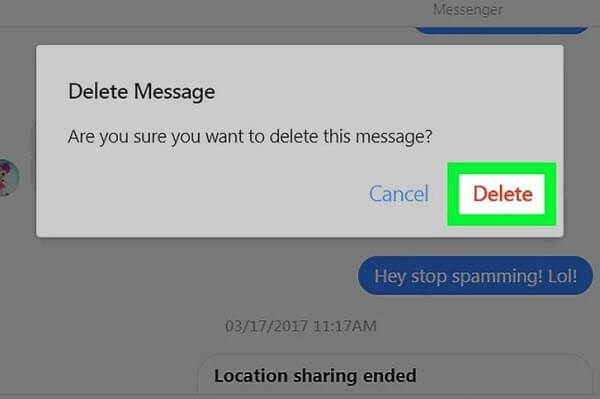 3: Click and hold the message you would like to delete. Here you will see a menu showed up with black color. 4: Click on Delete to remove it from your iPhone. 1: Run Facebook app on your iPhone and locate the conversations you want to delete. 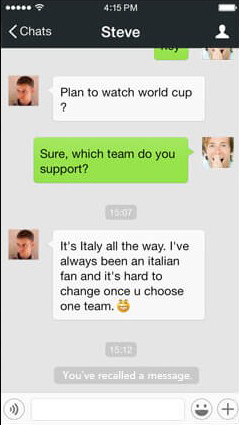 2: Swipe left across the conversation you would like to erase. 3: Click on ‘Delete’ to remove this conversations from your iPhone. In order to prevent any form of privacy leakages that may arise from a hack, you must permanently delete the fragments left by Facebook. Then it is recommended that you use iMyFone Umate Pro. This software provides a variety of data erasing solutions for iOS users. You can scan and erase any type of files from your iPhone permanently via this software. 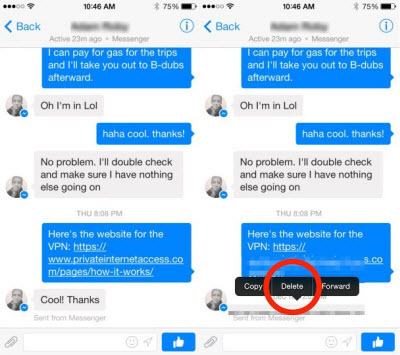 By permanently erasing the fragments via Umate Pro, you can make sure that no one can recover your Facebook messages. 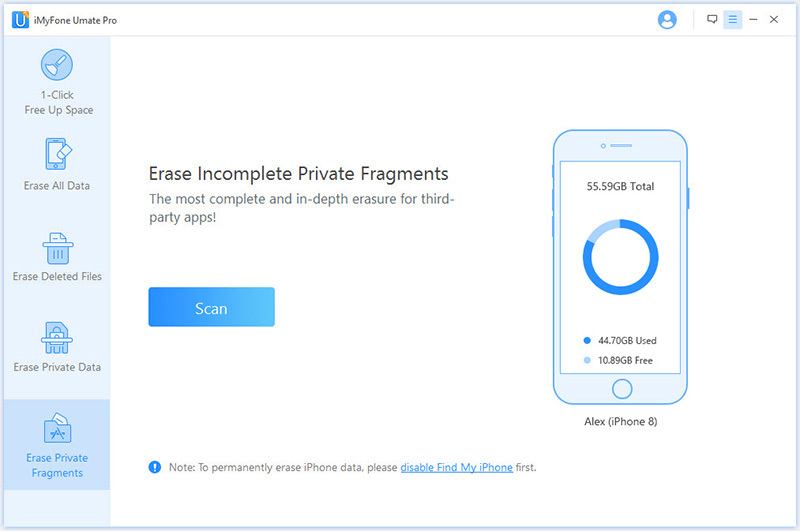 Permanently erase private fragments leftover by deleted third-party apps, like Facebook, WeChat, WhatsApp, Viber, Snapchat, and 10+ more. Preview and erase previously deleted files so that there is no trace of these files even after deletion ever. Permanently erase deleted private data to avoid privacy leak. 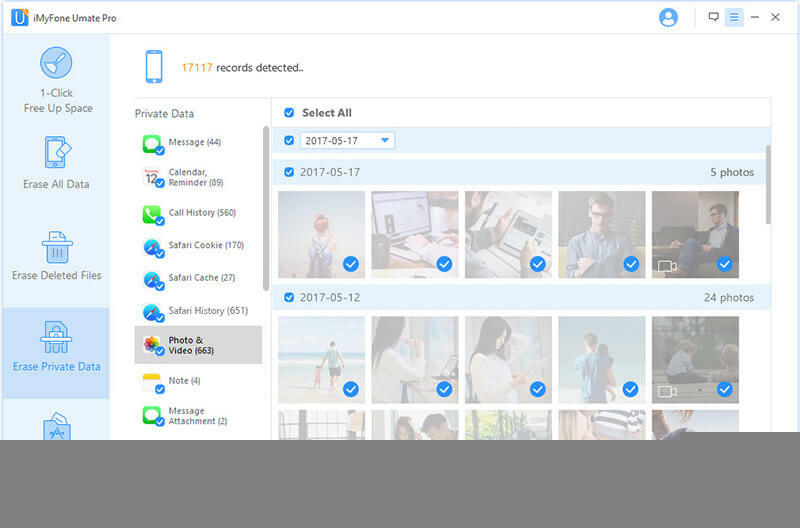 Permanently erase messages, contacts, call logs, photos, personal videos, browsing history and more from iPhone. Offer four erasure modes that suits all kinds of data erasure needs on iOS devices. 1. Connect your iPhone to PC with a cable, and launch Umate Pro. 2. Click on the fourth mode “Erase Private Fragment” and click “Scan” to proceed. 3. Go through the list of your private data and select “Facebook”. 4. Click on “Erase Now” button and select a security level for this operation. After you have completed these steps, be rest assured that all your Facebook messages are rendered unrecoverable. 1. Open Facebook and login with your ID & Password. 2. At the top right of the screen, you'll see the messages icon. Click on it. 3. Open the conversation and locate the message you want to delete, then hover your mouse cursor over a message, you will see a triple-dot icon, click on it. 4. 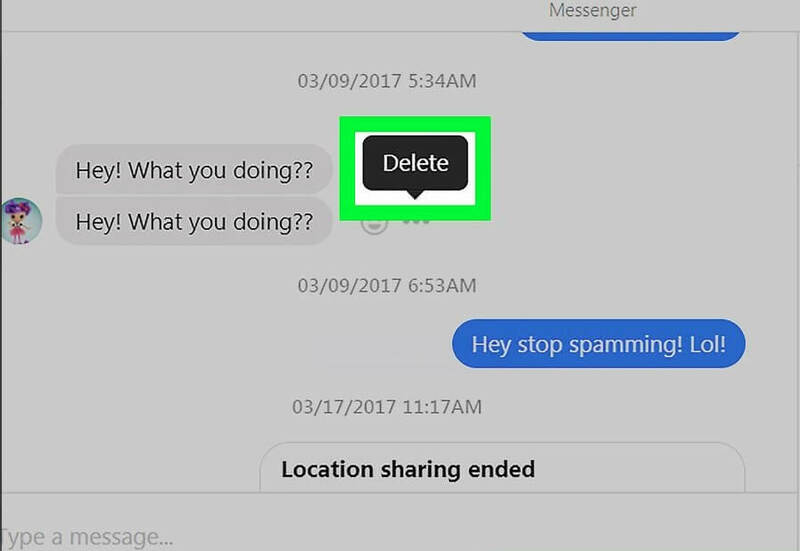 Select Delete Conversation, it will ask you to confirm it. Choose Delete Conversation. Can I Unsend a Message on Facebook Once It Has Been Sent? Ever sent a message to your friend and then wished you hadn't? So, can we unsend messages once the messages have been sent? Unfortunately, it is currently not possible to unsend or remove the sent messages from the person's inbox unless you can get access to his/her phone. 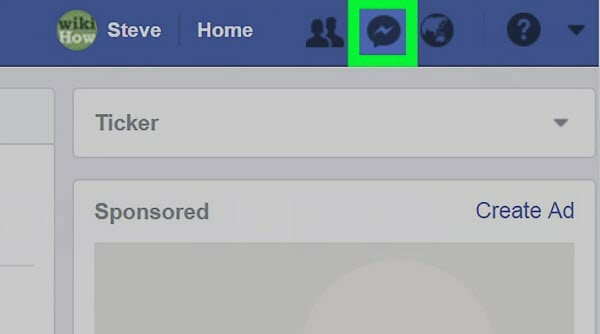 Though there is no way to unsend the message on Facebook, you can switch to other messaging app which allows you to unsend a message. Most of messaging apps (such as Wechat,Skype) have a function called "Recall" which lets you to delete the sent messages from its server. When a message is recalled, the recipients are no longer able to access this message or its file attachments. The only thing that recipients will see is a notice that the message has been recalled by the sender. 1. Press the message you want to recall until a menu showed up. 2. At the left of the menu, you'll see Recall. Tap on it to unsend the message. Then the embarrassing messages will be unsent and you'll see a notice that you've recalled a message. 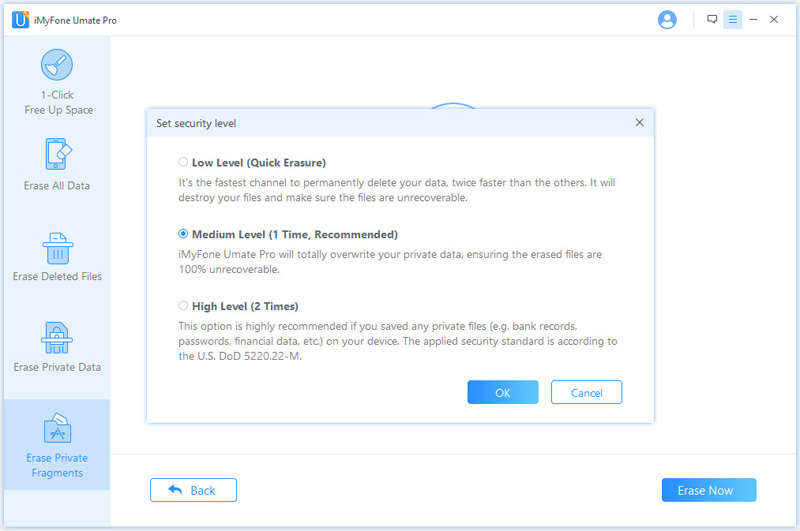 How to delete messenger messages on iPhone cannot be fully discussed if we do not share tips on how to use Umate Pro in completely erasing other private data on iPhone. Private data are mostly generated by social media and messaging apps like Snapchat, WhatsApp, Facebook Messenger, Twitter, Instagram, etc. call histories and media files are also included in this class of data. However, without erasing this personal information from your iPhone, they can accumulate to occupy your storage space, and lead to data breach. iMyFone Umate Pro has received lots of positive reviews from some professional websites, like Macworld.co.uk, Makeuseof.com, Cultofmac.com, etc.